If you shoot on a Sony E-mount camera like the FS100, then one of the most frustrating parts is using Canon EF lenses. To date, there have only been options for “dumb adapters” which either require you to set your aperture with a separate Canon camera or with an iris wheel built into the adapter. Neither of these options give you the best performance or control of your lens. Companies like Birger and MTF have announced smart adapters, but those have been plagued with high price tags and delays. 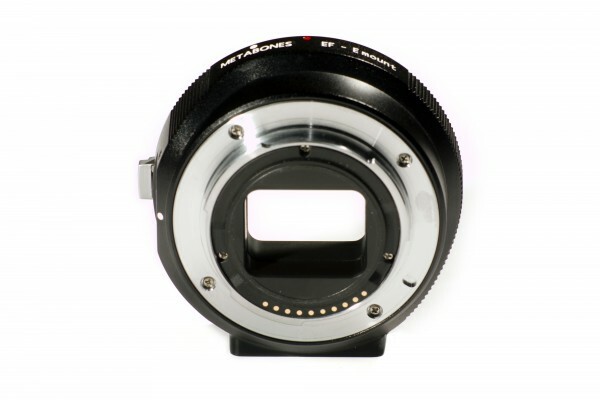 True electronic integration of aperture diaphragm – let camera automatically choose aperture in P or S exposure modes, or dial in yourself on the camera body in A or M modes. The only glaring feature the adapter misses is autofocus, though not a surprise and certainly not a deal breaker. Demand is expected to be high, but you can go on their site and order now.